Seniors play tennis for a discounted rate during the weekday daytimes here at PublicIndoorTennis.com. You do not need be a member of the Senior Tennis Club of Minnesota for the discounts and to participate in the drills - click here for membership information for players 50+. 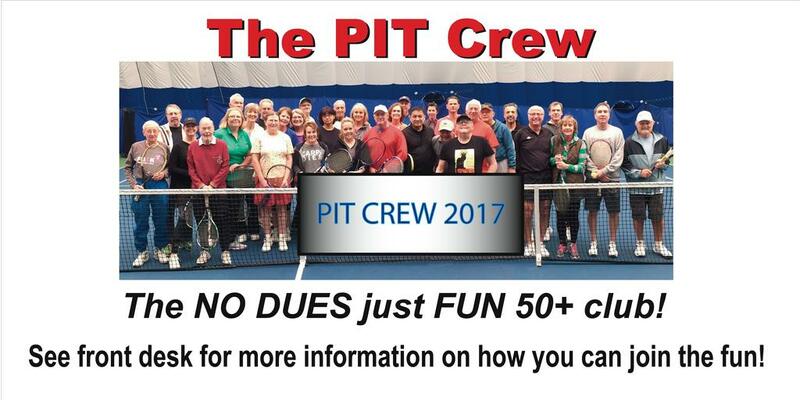 PIT Crew: Click below for the latest news on the "No Dues, Just Fun, Tennis Club."